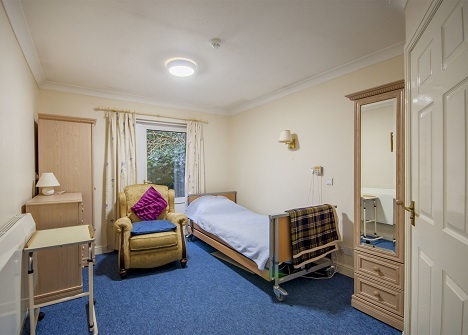 There are 40 single, spacious and light bed rooms,all with en-suite facilities, telephone point, thermostatic radiators, smoke detectors and 24 hour nurse call system. Patio doors on many ground floor rooms give individual access to the gardens. There is a passenger lift for access to the first floor and a separate laundry area on site. 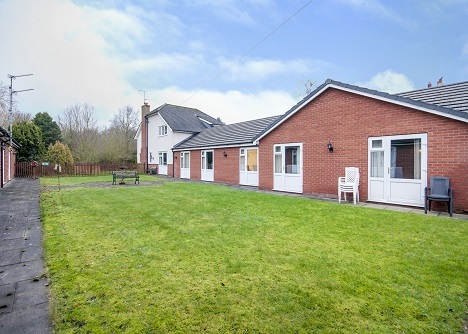 Residents are also able to choose to relax in either of the two living rooms or a conservatory sitting area, which overlooks the private gardens. Large communal bathrooms are equipped with specialist aids for bathing, and our communal toilets are designed with dementia in mind to promote independence and dignity. 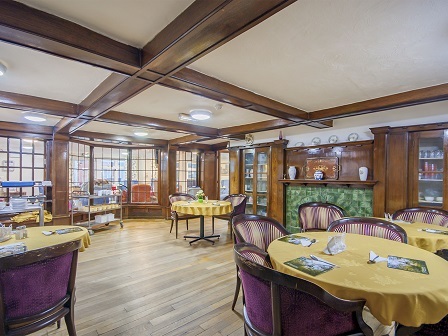 Meals are served in the comfortable and traditional dining room which features floor to ceiling leaded windows and polished wood panelling and floors. There is private on-site parking for 8-10 cars plus an ambulance and emergency parking area close to the entrance as well as a car parking facilities for the disabled. The gardens are made up of a large expanse of lawn with a patio off the conservatory and surrounding paths leading to seating under a large Willow tree offering shade and a calm area to reflect. A busy wildlife pond lies close to some small raised beds and a herb garden where residents and relatives may enjoy their own produce or simply watch others in action. We are planning a new sensory garden area for 2019, and consulting with our local community and Congleton in Bloom. This should be an exciting project involving staff, residents, relatives and the community and we are very much looking forward to starting. 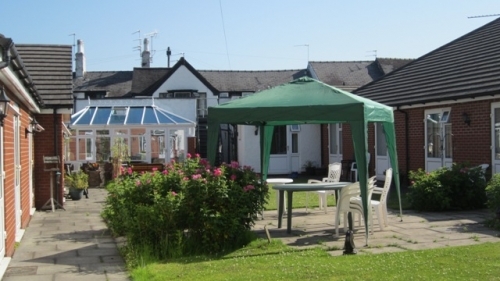 The residents enjoy the lawn areas in the summer and there are various items of patio furniture, gazebos and a BBQ for outside parties and activities when weather permits. This is also used for fetes and outdoor relaxation and entertainment throughout the year. 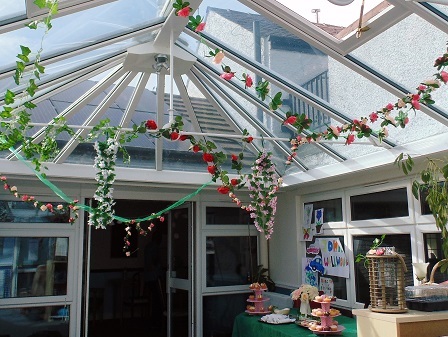 A bright and stylish conservatory provides space for friends and family to sit and chat when visitng, and alos a large dementia-friendly space for activities such as painting, crafts and various group therapies. Residents are encouraged and supported in spending time outside and invited to plant their own seeds, have their own bird feeders etc. Our professional and friendly Chef with over 20 years of experience and our wonderful enthusiastic kitchen staff, provide a wide range of balanced and nutritious meals. Tasty, home cooked food, prepared daily using only the freshest and local produce. Special diet needs are catered for and all menus are nutritionally checked. Each resident, soon after their arrival, can discuss their preferences and any special requirements they may have. Residents can choose to eat in our wonderful wood panelled dining room or in their bedrooms if they prefer. We will alwyas offer an alternative to the menu if required and make special efforts to cater for specific wants or needs. Special events are celebrated with fresh cakes, buffets and BBQs if desired. In the early evening a ‘Lite Bite’ menu is provided that includes fresh fruit, yoghurts, sandwiches and hot and cold beverages. We also serve biscuits and homemade cakes with mid morning tea and coffee. Fresh water and juice is always provided and changed in resident’s rooms each day.